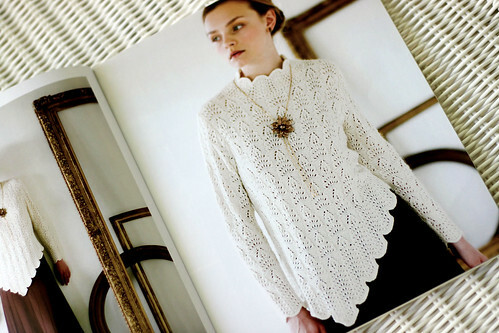 This is another pattern by Hitomi Shida that I would love to knit. I love the collar and asymmetric hem. The pattern shows how to cast on in steps to get the hemline to angle. The leaf and shale lace pattern is pretty too. This entry was posted on Friday, August 7th, 2009 at 3:00 am and is filed under Knitting. Tagged: Knitting. You can feed this entry. You can leave a response, or trackback from your own site.